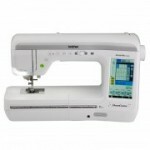 A dream to use, the Brother VM6200D is the exciting sewing, quilting and embroidery combination machine. 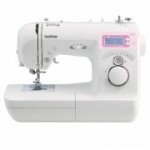 If you are looking for a sewing machine that’s easy to use, pretty in pink; the NS15 is the perfect choice. DreamCreator XE VM5100 is Brother’s new exciting and affordable combination machine. 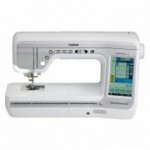 A dream to use, the Brother VQ3000 is the most advanced home-based quilting and sewing machine available. A dream to use, the Brother VM6200D is the exciting sewing, quilting and embroidery combination machine part of the V-Series range. The VM6200D has many advanced and improved features that have never been included in any Brother machines before. To start, the VM6200D offers 56 square inches of workspace to let you realize your dreams. The VM6200D also features our new Muvit Digital Dual Feed; this accessory foot makes it incredibly easy to sew precise, uniform stitches on a range of fabrics like leather, faux fur and silk. Other features include the Sew Straight Laser Vision Guide and the V-sonic pen among others.